While the 5G PR machinery has been on a roll for a while now, there's finally a clear picture of when exactly we can expect the technology to hit our shores. Come March 2020, and India will be witness to the latest advancements in cellular technology, entailing some very impressive features and benefits. Why's There so Much Hype This Time Around? What's the Big Difference? What's interesting to note is that while 5G can support a much higher device density at blazing fast speeds when compared to 4G, it requires a tower every 300 metres. In other words, its range is considerably shorter than that of 4G due to its usage of high frequency signals, which cannot travel very long distances. 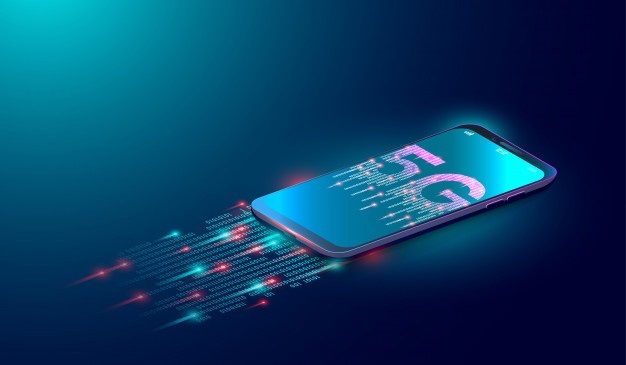 Yet, the promise of 5G is immense – just the fact that it embodies three features, viz, unparalleled speed, device coverage density and low latency, alone makes it ideal for fundamentally new use cases in applications and business models across a variety of industries including retail, transport, government and entertainment. Let's take a look at some of these. ■ Self-driving, connected cars: The extremely low latency of 5G networks will be able to facilitate decisions for autonomous vehicles on a real-time basis. This in turn can help reduce and eventually eliminate road accidents, leading to safer, smoother traffic – a major necessity in today's increasingly populated and frenzied times. ■ IoT networks: With the number of IoT-enabled devices set to explode in just about a year (12.86 billion sensors and devices will be deployed in the consumer segment alone by 2020, according to Forbes estimates), faster, more streamlined communication among the growing number of devices is rapidly turning from a ‘nice-to-have' into a ‘need-to-have'. The only technology capable of supporting this proliferation of devices is 5G, which will therefore play a critical role in the continued development of smart factories and manufacturing processes. ■ Real-time robotic surgeries: The exceptional speed and low latency of 5G will, for the first time, make it possible to support remote execution of surgeries, with doctors and patients literally located on opposite sides of the world – and artificial intelligence (AI) and machine learning (ML) enabled robots carrying out the necessary procedures. ■ Smart watches, VR, AR and drones: A large number of relatively new inventions that require constant interactions with the environment/ other devices to enable accurate, seamless operations have been unable to witness full-fledged rollouts due to a lack of the speed and bandwidth afforded by 5G. It's inevitable that with the emergence of new inventions and technologies, there will arise new challenges. However, taking appropriate counter measures can help business overcome these challenges, effectively mitigating the associated risks involved. ■ Network Operations: With increased speeds, networks become more vulnerable to hackers, viruses or other malicious threats that can halt operations for anything ranging from a few minutes to a number of hours. Anomaly detection can proactively identify such threats before they happen, and immediately alert telecom providers to take appropriate action and manage the threat. ■ Customer Experience: With towers placed at distances of 300 metres each, telecom operators are required to keep a close tab on a large number of assets to ensure high network connectivity at all times, as even the slightest drop in connectivity can lead to dissatisfied users. They need a solution that constantly monitors upload and download speeds and immediately alerts operators in case of a significant decrease in either case, so that they can deploy resources as quickly as possible to resolve the glitch. ■ Infrastructure management: The introduction of 5G entails the use of considerable new infrastructure in the form of hardware, software and algorithms to enable 5G, for instance, mmWaves (millimetre waves), multi user massive MIMO (Multi Input Multi Output), beamforming, small cells and full duplex. These functions like the links of a long chain. Now, it's a well-known fact that the more the number of links in a chain, the higher its vulnerability. With automated anomaly detection, any long-term or short-term breakdowns can be taken care of by instantaneously alerting users when anomalies are detected during routine monitoring of metrics. How well protected are you against future, apparently “unpredictable” incidents? Are you willing to leave business stability and continuity to chance?